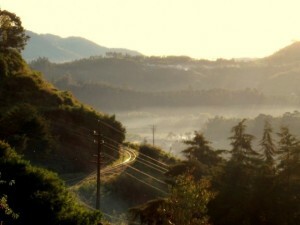 A famous tourist spot near Ooty is Ketti Valley that attracts numerous tourists. It is 7km far away from the main city Ooty. The Ketti valley is considered to be the ‘Switzerland of Southern India’ because of its pleasant weather conditions and you can enjoy the climatic conditions throughout the year. Ketti valley is really a tiny village which is developed in valley area of Nilgiri Mountains that is located in the state of Tamil nadu. Ketti valley is nearly 7000 feet deep the mountains near to Coonoor district. The temperature of that place is really splendid and the temperature does not differ so much and mostly it has been within 21 to 25 degree centigrade throughout the year. By visiting there, you will get into nature’s lap directly and the various tea plantations present in the entire region. The village is amazing and which goes to sleep in the early hours and follow the old conventional approaches of life that is indeed a healthy way to live the life. You may experience a wonderful scenic beauty and a serene as well as vibrant vacation with your family and acquaintances. It has its own importance in the mind of tourists for its climate and nature simultaneously.